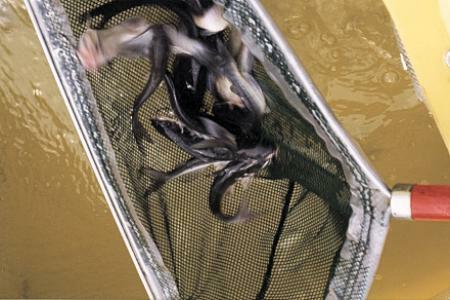 Here are stock size channel catfish going from the hauling tank into a Midwest farm pond. Our Fisheries Biologists have experience making stocking recommendations and conducting lake stockings. We deal with reputable fish growers and we make sure all fish are delivered in good condition and are properly stocked into the pond or lake.